Diarrhea is rather common in dogs, so it is extremely useful to have some remedies handy - you will need to use them sooner or later! There are a lot of possible causes of diarrhea in dogs, from eating something indigestible to infections to food allergies, and more. Canine diarrhea can occur suddenly and last for a short time (acute diarrhea). But sometimes dogs also have diarrhea on and off for a prolonged period of time (chronic), in which case a visit to the veterinarian to determine the underlying cause is necessary. 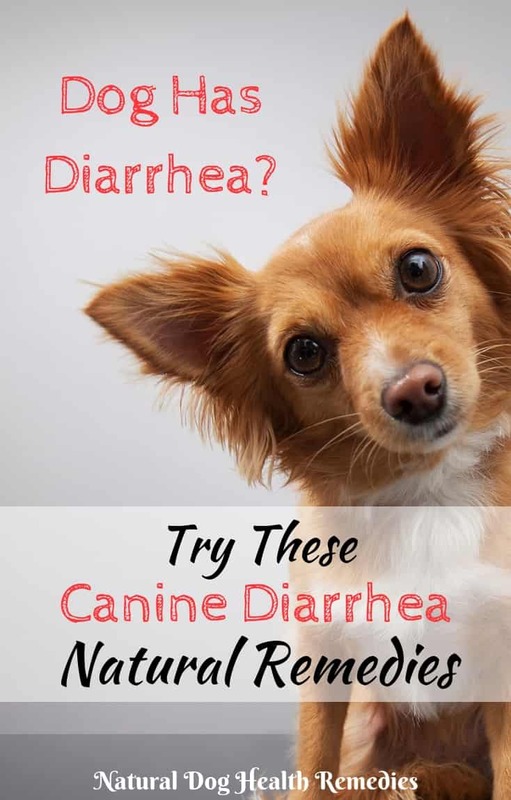 This page focuses on using home remedies such as foods, herbs, supplements, and so on to treat mild chronic diarrhea in dogs. For common causes of canine diarrhea (both acute and chronic) and treatment of acute diarrhea, please refer to this page. If your dog suffers from chronic diarrhea but a medical check-up has revealed no other signs of disease, you may want to change her diet. Put her on a natural diet if you have not already done so. Dogs sometimes may be intolerant to certain food ingredients, which could result in chronic diarrhea. Changing the diet may solve the diarrhea problem. Remember, when changing your dog's diet, do not change it overnight. This may cause upset stomach. Start slowly (e.g. 10% new food and 90% old food in the first week, 20% new food and 80% old food the second week, and so on). This ensures that your dog's system can adapt and adjust to the change with ease. Also, add extra fiber to her food, such as canned pumpkin, sweet potatoes. Fiber can help absorb extra water in the digestive tract and bulk up stools. Slippery Elm: Slippery elm soothes and coats the mucuous membranes and is an herb that is effective for both diarrhea and constipation. Licorice Root: Licorice is anti-inflammatory and is a healthier natural substitute for steroids such as corticosteroid that are often used in combination with antibiotics to treat chronic diarrhea in dogs. Catnip: Catnip has gas relieving and antispasmodic properties so it is effective in treating flatulence and diarrhea. Echinacea/Oregon Grape: Many chronic diseases are as a result of a dysfunctional immune system. Echinacea and Oregon grape are immune boosters and can return the immune system to its normal functional state. Chamomile: Chamomile also has immune-boosting properties. In addition, it is anti-inflammatory and also has a calming effect. Dogs suffering from diarrhea very often have stomach cramps. Antispasmodic oils such as peppermint or chamomile are effective in stopping the cramping. Add 2-3 drops of one of these oils to a tablespoon of carrier oil (e.g. olive oil) and rub the oil mixture on your dog's belly. Probiotics: Probiotics supply the "friendly" bacteria to your dog's digestive system and can help with better digestion and absorption of food. Probiotics are also effective in helping dogs with digestive problems such as diarrhea and gas. Digestive Enzymes - Dogs with chronic diarrhea, especially diarrhea caused by inflammatory bowel disease, are unable to fully digest their food and absorb the nutrients. Digestive enzymes can help with food digestion and absorption. In addition, some plant enzymes (e.g. Bromelain) can help fight inflammation and reduce swelling. L-Glutamine - L-Glutamine is an amino acid that helps to protect the stomach and intestinal lining and also may prevent the formation of stomach ulcers. Studies have shown that it helps to repair intestinal tissue at the cellular level. 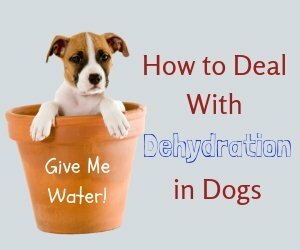 It also induces the large intestine to remove excess water - helpful for diarrhea-prone dogs. 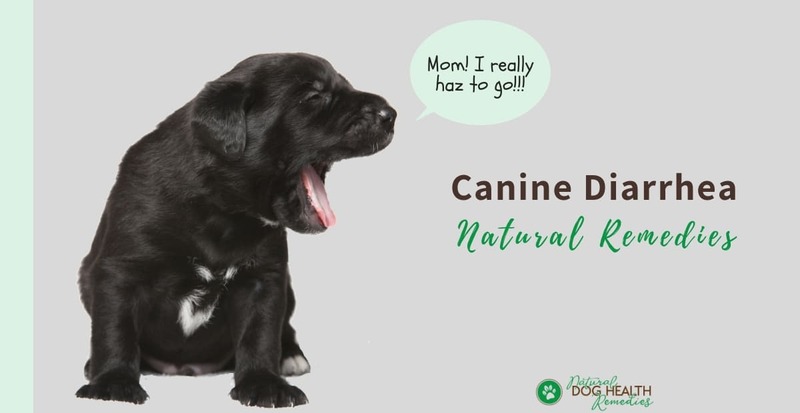 This natural herbal formula contains herbs such as Oregon grape, mullein, marshmallow, ginger and are effective in supporting the digestive and immune systems of your dog. As a result, your dog will have a strong and healthy GI tract and solid bowel movements. This formula contains a unique combination of effective herbs for diarrhea (such as slippery elm, licorice, and alfalfa), as well as probiotics, vitamins, health-building co-factors and enzymes. This formula is ideal for animals suffering from chronic or recurrent poor digestion, food allergies, or irritable bowel issues. This formula contains vitamins, probiotics and enzymes. It can effectively re-balance the gut microflora, assist in food digestion, and manage digestive problems such as diarrhea in dogs. Learn more about some common stomach problems in dogs.